If you see a classroom door camouflaged by vibrant smiley faces, it will probably lead you to a vivacious blonde woman with a smile on her own face. This is Dawn Soprych, special education teacher of thirty-two years, and teacher at RB of 26. Soprych originally started college as a nursing major, but after volunteering with kids who have special needs, she instantaneously fell in love with teaching and quickly changed her major. 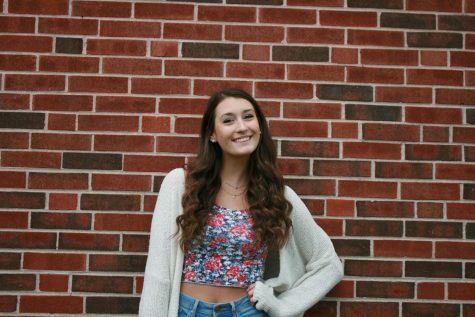 “I enjoy taking care of people and helping people,” later admitting that she changed her major partially because, “I took my first biology class and I didn’t love it” said Soprych. Soprych’s goal as a special education teacher is simple. 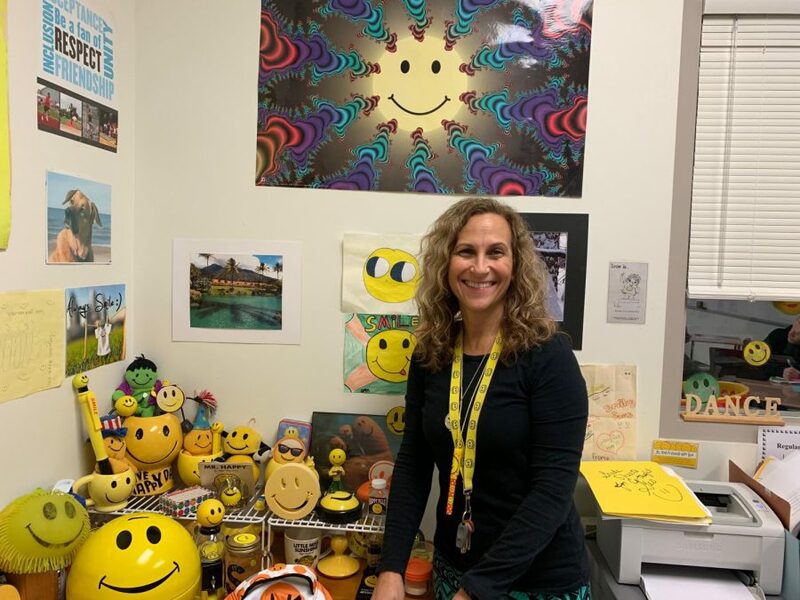 When not teaching, Soprych enjoys spreading positivity by collecting smiley faces, and if you have been in her office, you can attest to that fact. She does indeed have quite a collection. “When I was student teaching I worked with a woman; she always had motivational signs all around her gym and she was kind of my mentor” Said Soprych. “32 years ago, I started with this craze of being addicted to smiley faces…I’m like a little kid in a candy store when I see something with a smiley face on it.” Soprych says. 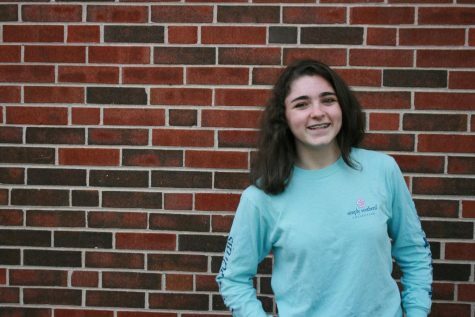 When not collecting smiley faces, Soprych enjoys latin dancing and Best Buddies events. Her positive outlook and smiley faces will long resonate with the students at RB and her influence will not be forgotten. She is retiring after next school year. Soprych will be greatly missed by students and staff. During retirement, she hopes to stay involved by helping teens and traveling the world. *This article was published on April 3rd, 2019, saying that Soprych has taught at RB for 18 years. It has since been corrected to say 26 years.